Posted October 31st, 2012 by bbsadmin & filed under General Business, Motivation. Benjamin Franklin was one of America’s greatest patriots as well as being a great philospher, inventory, historian, and statesmen. He also has a lot to offer today’s entrepreneurs. Benjamin Franklin is a master of self mastery. He came up with 13 virtues which he strived to implement in his life. These virtues include: temperance, silence, order, resolution, frugality, industry, sincerity, justice, moderation, cleanliness, tranquility, chastity, and humility. He would dedicate a week to focusing on one of these at a time. He would then move on to the next one the next week and kept a log of how well he kept these goals. Surely this practice must have influenced his future. Our habits influence our actions which influence our outcomes. 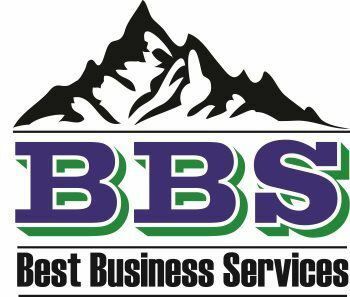 It is clear that the business world is no exception. A salesperson may find that making a habit of remembering a potential client’s name, smiling and having direct eye contact may produce better results than doing otherwise. It may be wise to follow Franklin’s example and take an inventory of the habits which are critical to positive outcomes in one’s sphere of business and set goals to ensure the development of such habits. Franklin was an avid planner. In his autobiography he gives an example of his planned day. In his example every hour is scheduled, including the time which he slept. He has said, “Lost time is never found again.” And “by failing to prepare, you are preparing to fail.” He also said; “time is money”. If we were to combine these together and think of it from a business perspective we can say that lost time is lost money. Perhaps one would be more keen on time management if he or she were given a lump sum of money for the day and had to write a check for lost time at the end of the day. Though this takes the example for the opposite perspective, it is essentially the same as reaping the monetary benefits of time management when it is practiced well and not reaping the rewards when it is not practiced. Let us all learn from Franklin and manage our time. 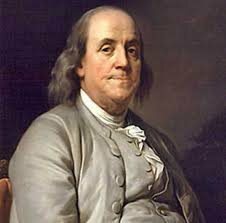 Franklin once said; “It takes many good deeds to build a good reputation, and only one bad one to lose it.” This principle seeps into the quality and ethics of one’s business practice. Because of the digital world in which we live, this principle if extremely crucial. In the past a bad experience could be passed by word of mouth. Today a bad experience can be tweeted or posted on Facebook allowing all friends to know one’s feelings toward a business instantly. Franklin was an entrepreneur of his time. For example, he invented the Franklin Stove, the lightning rod and bifocals. He was always looking forward and finding practical solutions to problems people faced in his time. He said, “When you’re finished changing, you’re finished.” He also said, “Gain may be temporary and uncertain; but ever while you live, expense is constant and certain: and it is easier to build two chimneys than to keep one in fuel.” There are two lessons we can learn about being at the forefront of change. First, keep up with what is going on rather than catching up when you are blatantly behind. Second, be prepared for unexpected change. Franklin dedicated much time to education and reason. He said, “Being ignorant is not so much a shame, as being unwilling to learn.” He also said, “An investment in knowledge always pays the best interest.” This ties into the principles of change shown above. A business’s continual investment in knowledge concerning the changes in the industry as well as the general economic and political changes will help it compete in the market and make necessary changes. Franklin helped organize a small group of people together called the Junto. This group would meet on a weekly basis and discuss different subjects. This group was mutually beneficial to all those who participated. We can take this concept and use it in our own time by making mutually beneficial connections with others, share knowledge, exchange referrals and build professional relationships.